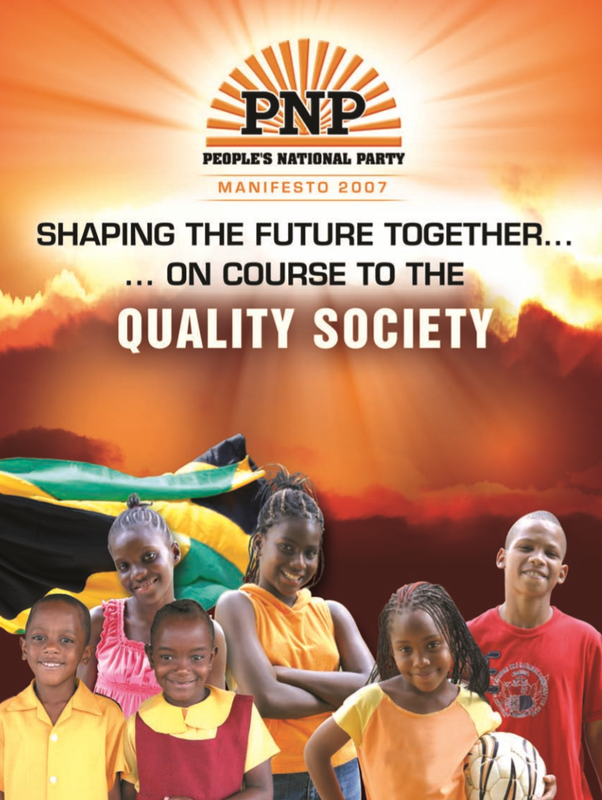 The People's National Party (PNP) is a social democratic and social liberal Jamaican political party, founded by Norman Manley in 1938. 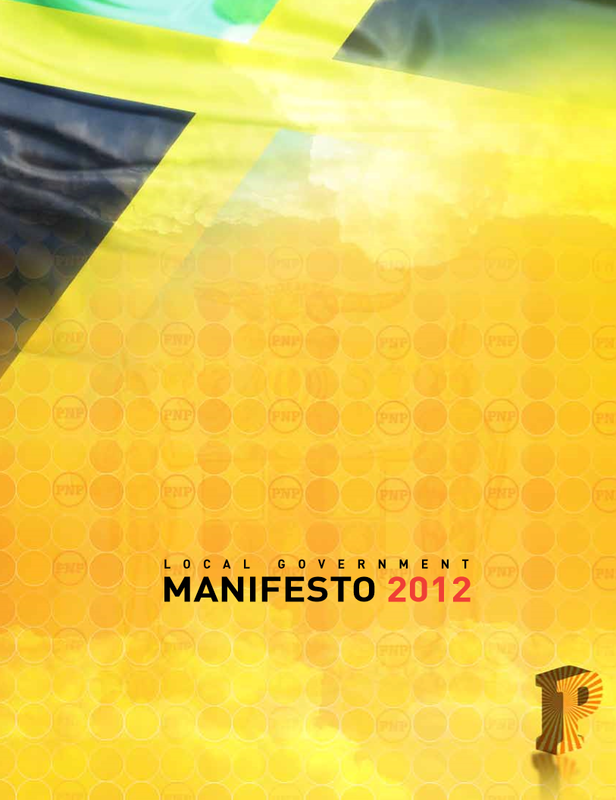 It is the oldest political party in the Anglophone Caribbean and one of the main two political parties in Jamaica. Out of the two major parties, it is considered more to the left than its main rival, the Jamaica Labour Party. They have held majorities in the Jamaican Parliament twice; firstly between 1972 to 1980 and again from 1989 to September 2007, when the JLP won the general election. The party is a member of the Socialist International. The PNP was defeated in the first universal elections held in Jamaica in 1944, winning only four of the 32 seats (one elected independent joined the party afterwards). It came to office in 1955, and held office until just before independence in 1962 when the party was defeated by its principal rival, the Jamaica Labour Party. During this period of government it promoted actively reformist social democratic policies, including opening secondary education to many poorer Jamaicans through state funding of scholarships. Ten years later, under the leadership of its founder's son, Michael Manley, it returned to office committed to democratic socialism and a foreign policy focused on strengthening relations with the Global South. In 1980, the Jamaica Labour Party led by Edward Seaga overwhelmingly defeated the PNP, after several years characterized by inflation and rising unemployment, and in a campaign noteworthy for an alarming level of violence. Manley led the party in a boycott of the snap election called in 1983, and the party was absent from parliament for more than five years. In 1989 it was returned to office under Manley's leadership. Manley retired from politics in 1992, and was replaced as party leader by Percival Noel James Patterson. Patterson led the PNP to victory in 1993, 1997, and 2002, becoming the first political leader in Jamaican history to win three successive general elections. In the 2002 election, held on 16 October 2002, the party won 52.2% of the popular vote and 34 out of the 60 seats in the House of Representatives. Since its return to office in 1989 it has pursued policies intended to take advantage of globalization, and has substantially moderated or even abandoned the socialist rhetoric of the 1970s. On 26 February 2006, Portia Simpson-Miller was elected as Patterson's successor, becoming the first female president of the PNP and became the Prime Minister of Jamaica. 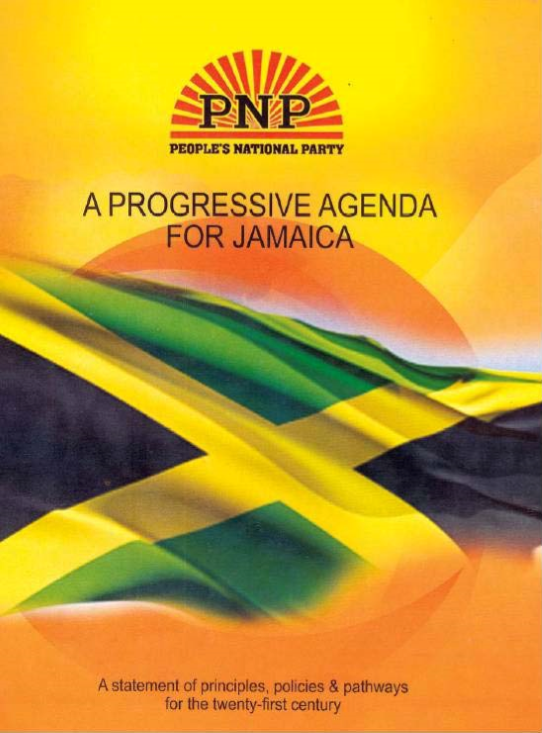 The PNP lost the August 2007 election to the JLP, and their leader Bruce Golding. 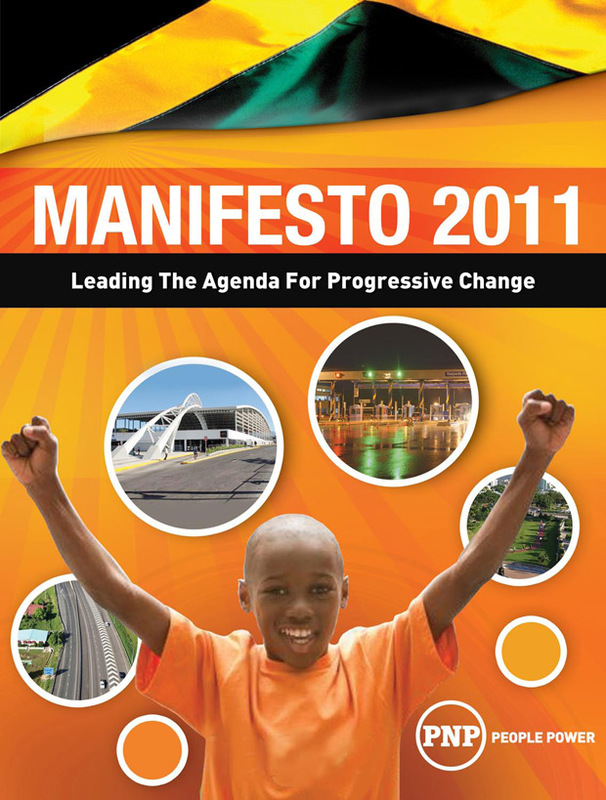 In the 29 December 2011 general election, the PNP was returned to power with 42 of the 63 seats in Jamaica's parliament. On January 5, 2012, PNP president Portia Simpson-Miller was sworn in as Prime Minister for the second time in her political career. On the following day, she assigned 20 cabinet ministers to various ministries, and 8 state ministers. 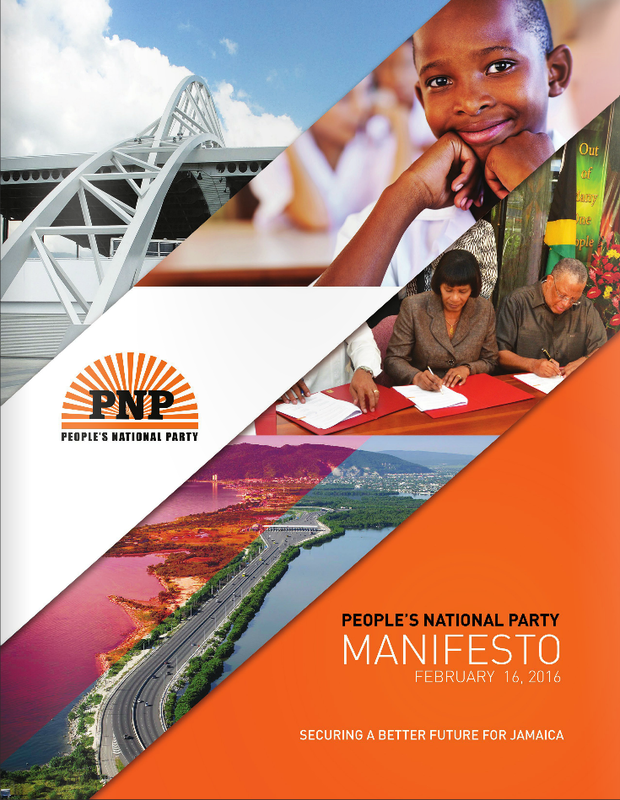 In 2016, the PNP was defeated by the Andrew Holness led Jamaica Labour Party in general elections. In 2017, Simpson-Miller stepped down as leader of the PNP and was succeeded by Dr. Peter Phillips. As electoral symbols, it uses a rising sun and the colours red, orange and yellow.